As we have Mentioned - the Importance of the Parent to be the Primary Educator and Care-Giver of a Child in their First Seven Years of Life, we do Realise that: the Current System do not really Lend itself to this. And that the Current Human Functions as an Entity that Focus on Preventing Inconvenience, and therefore Develop Ways to Occupy the Child with so-called ‘Self-Learning and Outcomes-means’ that Erroneously is Claimed by the Educators and Psychologists to be ‘The Way a Child should Learn’. Anything that do not Interfere with the Comfort of the Adult, or that Enhance the Possibility of Comfort and Limits Inconvenience – will be Embraced by the Parent. And so Multiple Reward-Systems and Entertainment-Systems are used to keep the Child Focused on Becoming part of the System as it Now Exist, as a Great Consumer that will Follow the Rules and Inevitably be part of this Current World-System, which ‘apparently’ is Working for Some. Especially the Parent, whose Life is Protected through Money and Position and Unique Skills – would Claim that ‘somehow’ “Everything is Fine”. One only must Remove all the Trappings and one will See that the Position is Not Fine. 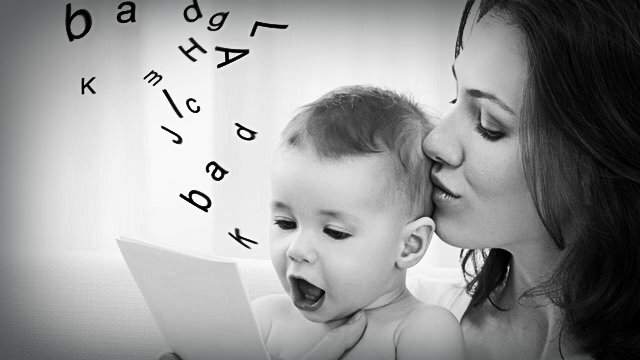 The Reason that the Parent should be Involved, especially in the Placement of the Foundation Vocabulary of a Child, is that: the Parent will be Astutely Aware of the Sound-Tonality implications of Every Word that is used. The Parent that Cares about Developing a Child, Worthy of Life, without Fear and without the Child being a Competitive Threat to other Living Things: will Ensure that Words and the Tonality indicators of the Sound of the Word – is Always, in a way that is Best for All that Resonate an Understanding and Intimate Trust with Life itself, and that Presents the Speaker as the Living Word Expression – as Someone with a Deep Understanding of What Life MUST Be. This is a Most Arduous Task, if One do not do this out of Understanding and Love. Love would be, to Ensure the Effective Development of a Child that becomes, in every Way – as Perfect a Human as Possible, within the Guidelines of the Laws of the Physical. To Live Constructively in a Way As a Partnership in the Group of Life that Essentially Produce, Harmony, Peace, Fulfillment and that Strange Word ‘Happiness’. Happiness being – Not the Result of what you Receive – but the Result of What you Give, as you Know that you are Giving as you would Like to Receive. And that, when All Understand this – All will through Giving, Receive Happiness. This is the Only Way Happiness can Endure and be a Fundamental Part of Life on Earth. In this Process – of Words, and the Sounds of Meanings that Tonality Resonate: the Parent Must Walk EVERY Word with the Child, in as Practical a Way as Possible – not only Speak the Word, but Actually Allow the Child to Engage a Physical Form of the Word, or a Reasonable Replica of it. So that, the Physical Body Touch the Word, Feel the Dimensions, and Integrate a Contextual Meaning in All Ways Relevant. That means, the beneficial use of the Word, and the use of the Word with a Consequence that is Not Suggested as it returns in Kind, so that – All the Dimensions of the Word and the Tonality it will be used in – is Understood. And also How to Act when someone use Words in Ways that are in Tonality and Resonance, Destructive. In the Future, when our Science at last will become Relevant to Life – it will be Shown, as Emoto has shown in some small regard: the Extent to which the Water in the Body, which Represents Sound and Tonality – are affected by the Use of Words and the Sounds that goes with it. This is currently Abused extensively in the Media and Entertainment and Music Scenes – to cause all kinds of Addictions to Tonalities that Produce chemical reactions in the Body and thus Cause the Listener to Develop a Liking to the FEELING produced by the Body through the Stimulus Created when a particular System-Design Imprints and Forms within the Cell of the Body. This Part is happening through the Mind Consciousness System, and How it Interacts with the Physical Body. In the Ultimate Degree – the process will Lead to the Physical Body becoming the Actual Awareness and the Mind becoming the Servant it was supposed to be. Currently, the Mind is still the Master – which is Why Consciousness is Developed as an Energetic Influence that Controls All Views the Human are able to have in a Context of Reward-Feedback as Feelings and Emotions. Purely an Extension of the Greater Consumerism System, Imprinted onto the Physical Form of the Human, for the Outcome of Control of Behaviour to make sure the System don’t Change and the Human remain a Slave. Unless Parenting Becomes what it should be – in the Context that we will discuss in these Posts: the Enslavement of the Physical World will Not End. You do not just Stop this. A Being that is Trapped in Consciousness have not yet in any way whatsoever Engaged, with the Real Life-Giver which is the Physical Body. This Process takes a minimum of 14 Years of Dedication, when you’re an Adult already – and in this you will battle with your Own Knowledge that is Entrenched in the Sound Tonality in Words that you cannot even Remember where you Learned it form, and yet it will Decide, through your Feelings and Controlled Intuition – Who you are and what you Believe yourself to be. And yet, you will have No Practical Real Understanding on How Any of this is Produced. The Study necessary to be a Parent, initially, will be a Lengthy process – because, Once the first 7 Years of a Child’s life has been Rectified and Understood: the Child will by Virtue of being Educated as a Living Being Properly, as a Living Word – automatically be an Effective Parent. Currently – Parents are only what they have been Taught to be – completely Unable to in any way Realise anything outside the System of Control. Whether the Control is Deliberate, or Simply a Calamity of Coincidences – generation after generation, so well presented as “the Sins of the Father will be visited upon the Children up to the 6th and 7th Generation”: is Rather Irrelevant. Changing this – into What is Best for All Life, is and should be the Only Relevant Factor in the Life of anyone with Real Compassion and a Desire to Bring Change to the World through oneself. The relationship to Sound and Energy of Words.